Was I alone in not expecting too much of this episode? Stuck in the valley between a Steven Moffatt two-parter and the big season-ending episodes, the Russell Davies-scripted episode had the appearance of a placeholder. It's even about the Doctor and Donna enjoying a bit of vacation time. What could be slighter? And yet, I don't think this season has produced a better episode than "Midnight." I certainly can't think of a tenser one. Directed by Alice Troughton, previously responsible for the mostly okay "The Doctor's Daughter," "Midnight" is a marvel doing a lot with a little. It opens, like a lot of this season's episodes, on a vast CGI vista but takes place almost entirely within the confines of a train. (Or is it a monorail? Or the Doctor calls it a truck? Is it okay if I just stick with train for the sake of convenience?) The episode quickly establishes the many flavors of annoyance to be enjoyed while taking public transportation, whether you want to be left alone with your reading, like Lesley Sharp's lonesome traveler Sky Silvestry, or are forced to spend far too much quality time with the family, like Colin Morgan's sulky teenager, who's stuck with an affably boisterous family. Or maybe you're just a fussy professor and his meek sidekick. Or an air hostess just trying to do her job. Tensions are sure to arise in a confined space. They may all be nice people individually, but that doesn't mean they belong together. Or do they? It seems perfectly in character for the Doctor to shut down all the distractions and force everyone to get to know one another, even if I'm not convinced that his getting-to-know-you strategies would work. I look around me on the El each morning and I don't know if there's anyone with whom I'm likely to make a deep connection. But who knows? I appreciate that this show has optimism hardwired into it. The optimism does short out from time to time, however. One of the most remarkable elements of this episode is that the Doctor is ultimately wrong. 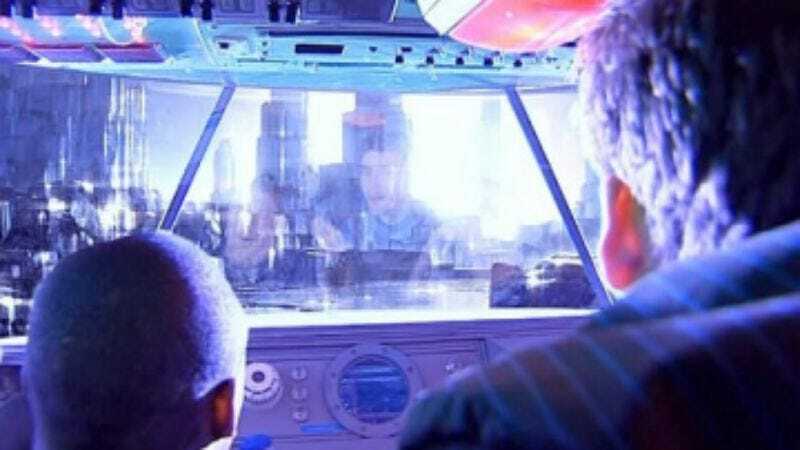 He and his fellow passengers find themselves imperiled by a creature that ultimately can't be reasoned with and which the Doctor can't understand in time to keep everyone safe. He wants to protect his fellow passengers and avoid violence. His reasoning: "He's clever." And he's right. He is clever, the cleverest man in the room. But sometimes clever just isn't enough. This is a grim, scary outing that offers little comfort as it reaches an end that leaves even the Doctor shaken. And that sight is pretty disturbing in itself. It's all quite nicely staged here. As the train first stalls out and finds itself under attack, Davies and Troughton draw on Robert Wise's classic 1963 horror film The Haunting for inspiration. (If you've never seen it or, worse, only seen the terrible Jan DeBont remake, you owe it to yourself to check it out.) The scares come almost entirely from off-screen noise and the mounting panic of those forced to endure them. From there the models change. There are bits of The Exorcist and the especially the Twilight Zone episode "The Monsters Are Due On Maple Street" in what happens next. As Lesley Sharp's possessed traveler–I should mention that Sharp's quite terrifying, by the way–the Doctor's fellow passengers start to turn on one another. 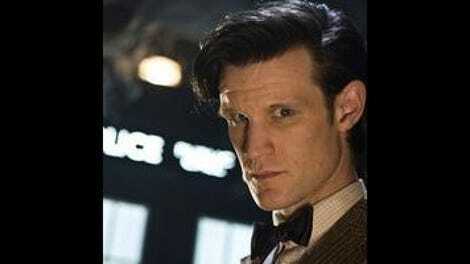 Then they largely settle on the Doctor who runs out of ways to explain who he is and why he's there. It's not rare to see him flustered but it is rare to see him cornered and Tennant it plays the feeling to the hilt. He's defeated twice, first by their dogged inquiries, then by his inability to resolve the situation. He's left helpless, and that no way for a Time Lord to feel. I don't want simply to use comparisons to describe this episode, but allow me just one more. "Midnight" does for Davies' Doctor Who what "The City On The Edge Of Forever" did for Star Trek. It's similarly tragic, but beyond that places our hero in a situation where he does everything right and still founds himself overwhelmed by forces he can't control. He's no less heroic for it, but we now know he has limits. Two hearts and all, the ordeal makes him seem all the more human.